Pilanesberg National Park offers a range of world-class conference and function venues – ideal for corporate conventions, workshops, team-building events, and weddings – within a comfortable two-hour drive from Johannesburg and Pretoria. 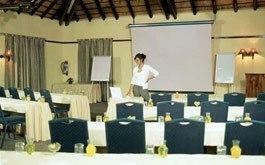 International conference visitors or those coming in from other regions of South Africa can land at Johannesburg’s O.R. Tambo International Airport, a major transportation hub frequented by most international and all local airlines, and easily make their way to the Pilanesberg from there. All the Pilanesberg conferencing venues provide state-of- the-art facilities and a variety of accommodation options – from luxury lodges to affordable self- catering resort setups – in one of South Africa&#39;s foremost malaria-free wilderness areas. 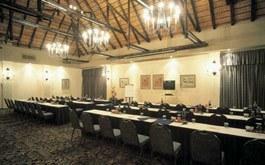 Its prime location, excellent selection of venues, incredible Big 5 game viewing, and easy access to the fabled leisure resort of Sun City, make Pilanesberg Game Reserve the South African destination of choice for an unforgettable conference or function. 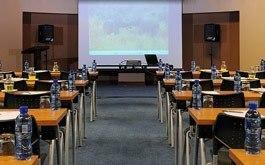 If you’re looking to organise an event that will wow your guests, contact us today to discuss how Pilanesberg’s conferencing venues can meet your requirements. © 2018 PilanesbergGameReserve.com All rights reserved. This website is not affiliated, associated or connected in any way with the North West Parks and Tourism Board or the Pilanesberg Game Reserve. 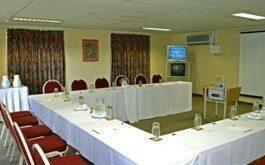 It's purpose is to provide great accommodation deals, news, information and opinion on the Pilanesberg National Park. 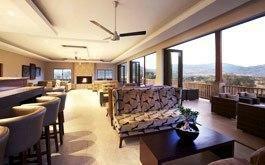 Images courtesy of South African Tourism and Pilanesberg Game Reserve.